The Las Vegas Train Robbers (35-24) beat the Taos Blizzard (23-35) 10-7 on Monday at Rodriguez Park behind Andrew Lopez, who had two extra base hits. He singled in the second inning, homered in the fourth inning, and doubled in the sixth inning. Jimmy Jensen looked sharp on the mound. Jensen gave up just one hit, allowed no earned runs, walked none and struck out four during his two innings of work. Grant Glasser racked up two RBIs on two hits for the Taos Blizzard. He doubled in the second inning and singled in the eighth inning. Atsushi Hebisawa improved to 6-1 on the year by picking up the win for the Las Vegas Train Robbers. He allowed four runs over five innings. He struck out three, walked three and surrendered seven hits. Nic Kovacs couldnt get it done on the mound for the Taos Blizzard, taking a loss. He allowed eight runs in 3 2/3 innings, walked two and struck out two. 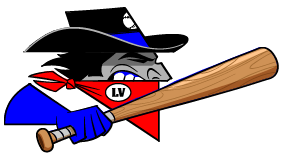 Randy Wells, Lopez and Chris Wilson helped lead the Las Vegas Train Robbers. They combined for seven hits and six RBIs.